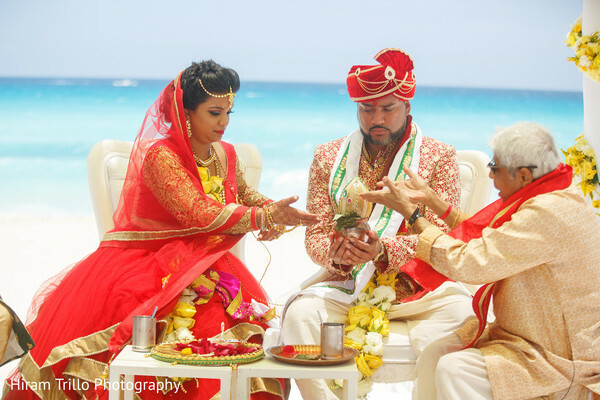 The charming Indian wedding of Karishma and Shashi at the coveted Sandos Cancun Luxury Resort has me reeling with that "toes in the sand" type of vibe. Imagine sunbathing and a majestic baraat, led by a regal horse, crosses your path. 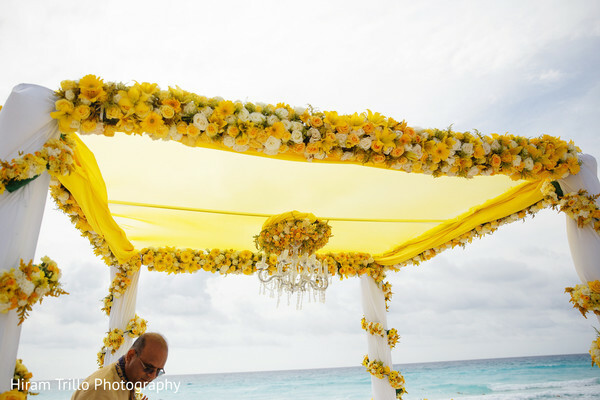 It is not something you see every day, but with the lens of Hiram Trillo Photography, it is almost like I am there! 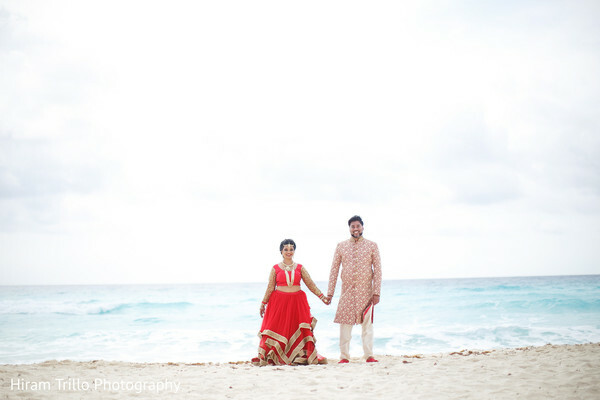 Karishma brought the cultural charm of India to Mexico and walked down the beach laden villa in a gorgeous bridal lengha. 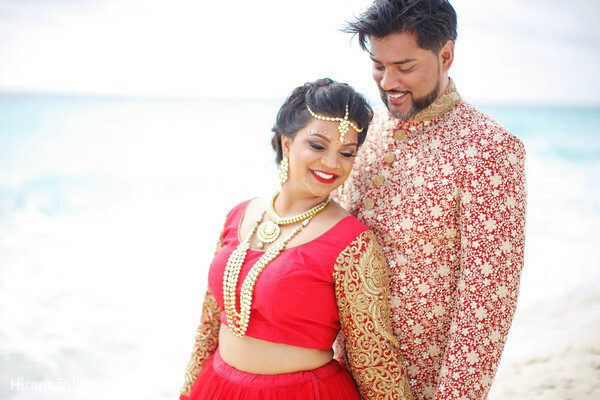 In hues of red and gold with cascading ruffles, this trousseau makes for some serious photo magic. 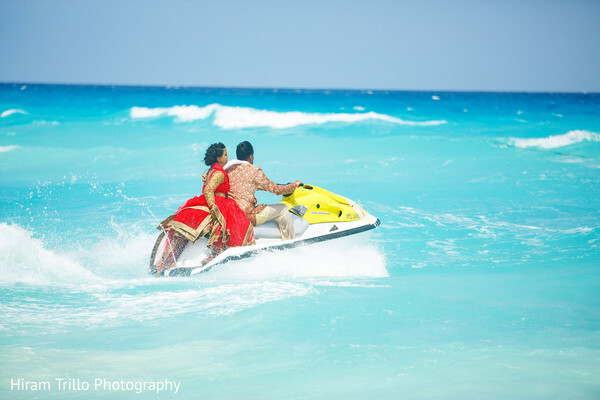 Destination weddings require a lot more effort and coordination, but with the expertise of Sheamanti Haque of K.I. 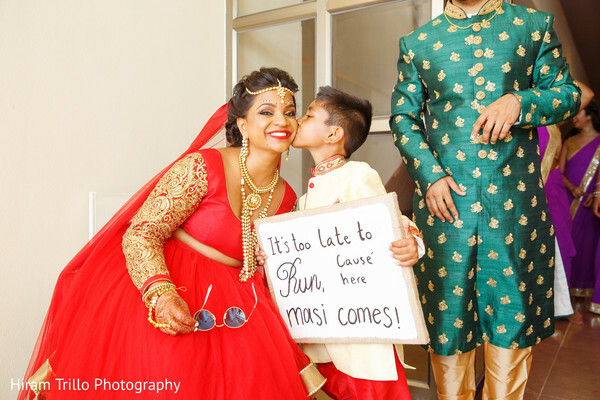 Weddings, Karishma truly saw her fairy tale Indian wedding coming alive right before her eyes. 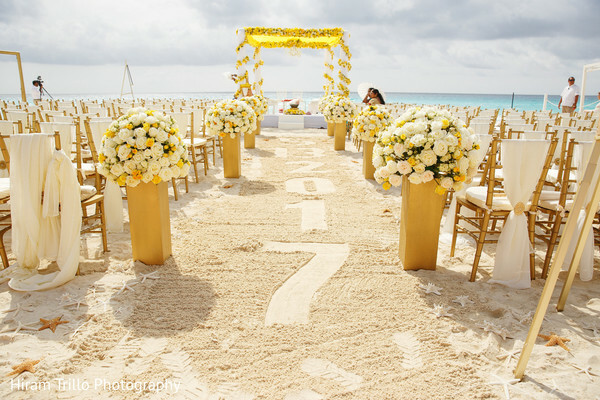 Who doesn't want to get married on the sandy beaches? 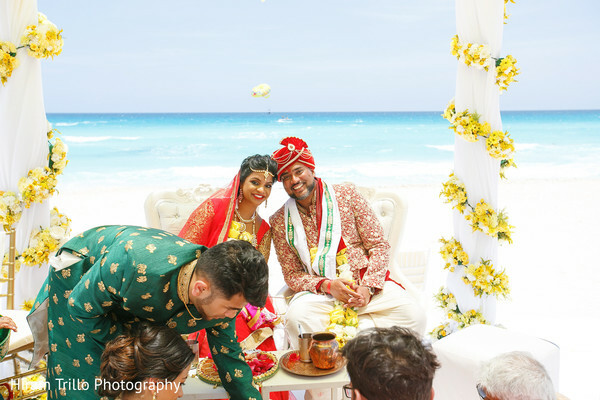 After viewing this stunning Indian wedding, I am racing for my sunnies! Join me in the gallery to view all the endearing memories. 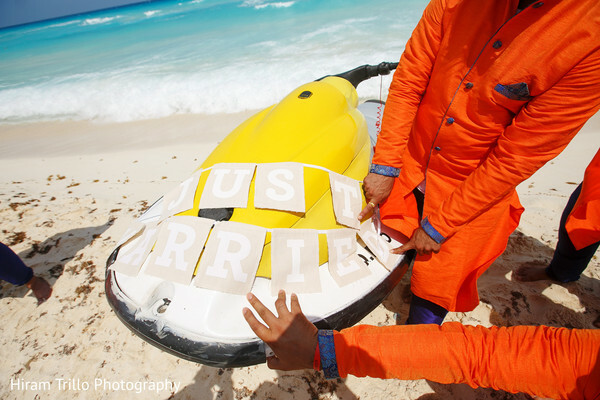 We have one last editorial feature for the reception part just right around the corner!